. يعمل Majestic Roof Garden Hotel على ضمان إقامة مريحة لضيوفه من خلال خدماته الممتازة وحسن ضيافته. تتضمن الميزات الرئيسية في هذا الفندق: خدمة الغرف على مدار الساعة, واي فاي مجاني في جميع الغرف, مكتب الاستقبال على مدار الساعة, مرافق مخصصة لذوي الاحتياجات الخاصة, تخزين الأمتعة. يمكن للنزلاء الاختيار من ضمن مجموعة من الغرف المصممة بعناية لتعكس جواً من الراحة، والتي يتجاوز عددها 120. سواء كنت من محبي الرياضة أو كنت تتطلع لتفريغ عناء نهار صعب، ستجد خدمات ذات مستوى عالي بانتظارك كمثل مركز للياقة البدنية, مسار جولف - ضمن 3 كم, حديقة. مهما كانت أسبابك لزيارة المدينة، فإن Majestic Roof Garden Hotel هو الخيار الأفضل لإقامة مثيرة وممتعة. We enjoyed our stay at this hotel, it has a somewhat japanese concept, spacious room and large comfortable bed. Parking is also very convenient if you are driving. 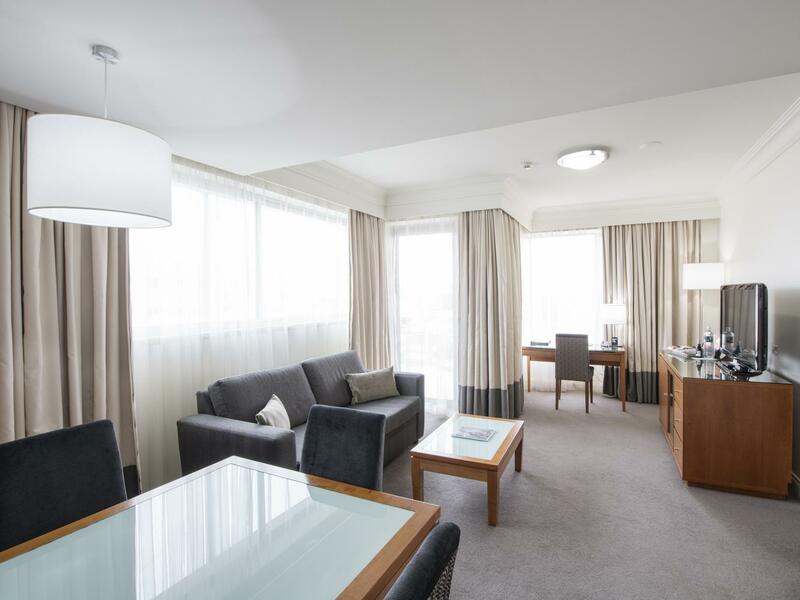 Located very near to the main shopping district Rundle Mall, and University of Adelaide. Easy access to public transport too. Hotel staff were very friendly and helpful. It made our stay a very pleasant one. Will definitely want to come back! It was a nice place to stay for a weekend in Adelaide. Really nice building, comfortable rooms and great location. "Fitness centre" is a bit of an exaggeration though - couple of treadmills, a stationary bike and some free weights. I booked because it had a fitness centre so was disappointed. Otherwise, nice gem of a place in Adelaide. Everytime i stay here for business, the service has always been great and helpful. Just note that depending on which room you get, you may get a noisy room if facing the main steet or above loading dock. 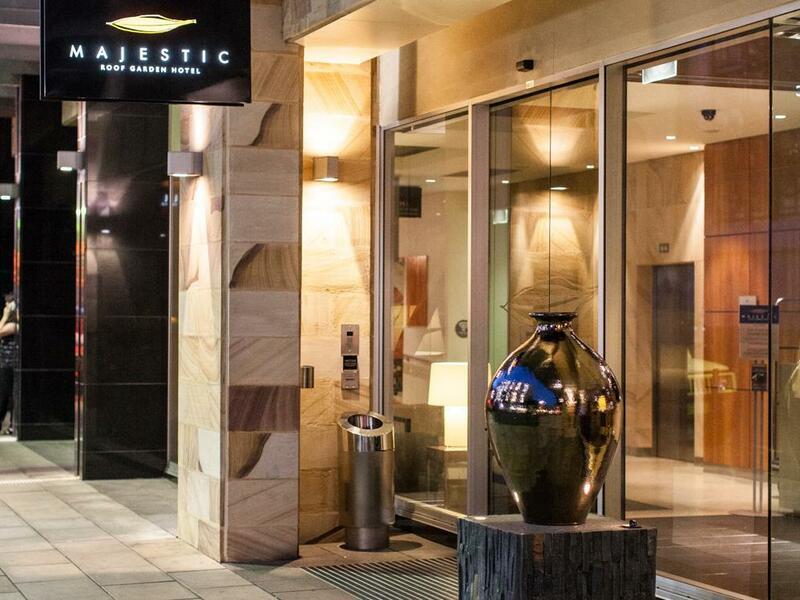 I stayed in Majestic 5 nights and generally was satisfied. Close to Rundle street: eating and shopping area, within 15 min walk from everywhere in the city center. Room is quite comfortable and clean. The only thing make this hotel I actually dislike(but I guess like most of hotel in Australia) is that they charge additionally for internet access. Recommendable for tourists, less recommendable for business traveller. Roof garden is quite small and I'd better call it terrace, views are quite ordinary: car parking or nearby hotels. Close to lots of shopping and restaurants. Staff were great. Fantastic room. Lovely breakfast. Fast Internet connection. Always a delight to find a king bed in Australia. Surprisingly quiet since it’s so close to major walking street. Easy access to museums, historic sites, great food, public transportation. Responsive staff. I really like the location. Close to heaps of places to eat and some nice wine bars etc. Very comfortable rooms. Quite big. Helpful staff. we had a great time in Adelaide. our hotel was central to everything, very clean with good ammenities. i feel so much more could be done with the roof top though....a bar? we ate at the restaurant one night to try the signature dish of croc/barramundi and kangaroo. Was devine! Well, booked the hotel and checked in late that night. There was roadworks directly in front of the hotel and they did not or could not change my room. So all night road works and beeing in level 1 - not so awesome. When I complained they said that they complained as well to the city. I guess a better way of dealing with his situation would be to give me another room where I actually would get some sleep or calling me ahead or emailing me and making me aware of this. My husband and I stayed here in December for 4 nights as part of our trip across Australia. We found the location very good for shopping and walking around the city was easy. We visited the gardens, museums and art galleries with ease and the transport system is very user friendly. I would happily recommend this hotel to friends and family. I have stayed at the Majestic Roof garden several times when visiting Adelaide on Business. I find the rooms well appointed and set up to allow me to work, wifi and other services also help. The location is quite central and only a short work to most of the main business areas of the city. I find when I arrive on late flights there is always a nice restaurant open late nearby like San Giorgio right next door which is open until 3am. In short, I keep staying at the Majestic because everything just seems to work and I never seem to have any problems, the Majestic just makes everything easy. 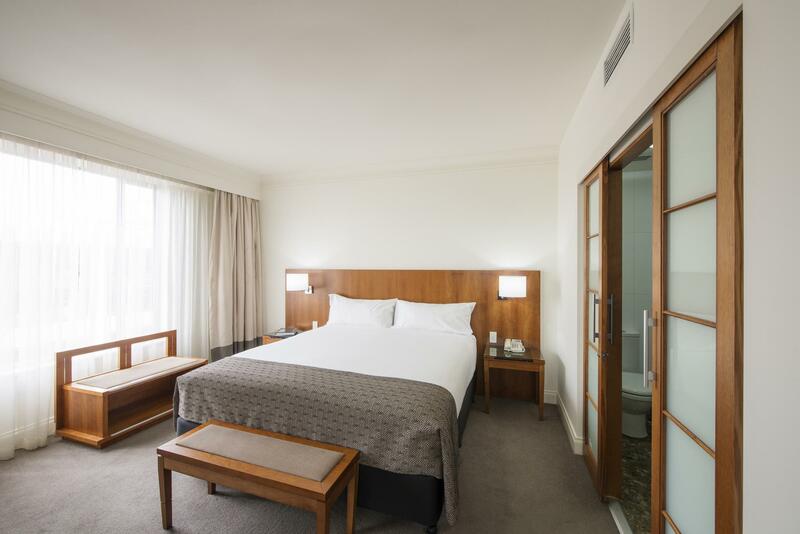 I had read many good reviews before my first stay here and agree that it really is a very good place to stay in a nice part of the CBD. The room was spotlessly clean and I loved the bathroom. Nice to have a soak and be able to watch the TV. The bed was super comfy. It is located near many good restaurants, bars, cinema, and a short walk to the mall for majors shops. Would certainly stay here again. Wonderful staff, wonderful room, excellent location and exceptional value for money. Having never stayed in a hotel with our 20month old we were unsure how he would go. The staff were very friendly and talked to our son, the room was of a decent size so he had room to play when we needed to be in the room. Being under 2 we were not required to pay for an extra person so he just slept in the giant king bed with us. Cleaning staff were considerate and acvomodating when they came to service the room but he was having a midday nap. Wonderful place made travelling with a toddler less stresdful than i thought it was going to be. The location is great, staff are friendly and rooms are clean, quiet & a good size. The staff are efficient but the front desk staff seem to have been under pressure due to less seeming to be on duty. This resulted in waits at the desk for queries & service & also an inability to valet park or unload cars quickly as the 1-2 staff were busy at the desk. Twice on recent visits we have had to circle the hotel block for 15-20 minutes as there were no spaces at the front of the hotel & the car parked in the hotel driveway was not moved during this time. This seems to be a management problem, as being regular visitors, we have noticed a reduction in staff on duty. Still, this is a great place to stay. Our first stay at this hotel was a pleasure. Great location. Majestic Balcony Room had great inclusions, lots of room and was so quiet. Staff were friendly, professional and helpful. The newly introduced Continental breakfast was the best we've had yet. Well done chef! Really enjoyed the stay there. The staff were always unfailingly friendly, polite and helpful. Room was modern, huge, well organised, location was very centralised with cafes just across the road. Tours also offered pick up and drop off direct at hotel (with kangaroo island it was a savior) Would definitely stay there again and would highly recommend it. Great location for walking around the centre of town and Rundel Street. Friendly staff and clean room. Parking is a bit if a pain, as the use of the hotel parking is generaly for staff. Vouchers are given for 24 hour use of the public car park behind the hotel (24 hours starts at the first exit of the car-park - something we were not told about). All in all not a bad hotel for the price. would stay again.